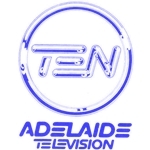 On the evening of Saturday 26 December 1987, newsreaders of Adelaide’s Seven National News on ADS7 signed off the bulletin with a reminder to viewers to tune in the following night to Channel 10. At around the same time, the rival Eyewitness News on SAS10 was prompting its viewers to pop over to Channel 7. What brought about such summer season silliness? 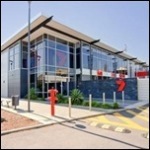 The media takeover frenzy that had engulfed much of the television industry over the preceding twelve months had resulted in a quirky anomaly arising for the two Adelaide television stations. ADS7, previously under control of the Melbourne-based Herald and Weekly Times group and a member of the Seven Network, had landed into the hands of interests associated with the Ten Network. Meanwhile, SAS10, Adelaide’s member of the Ten Network, had long been under the control of TVW Enterprises, the owner of Perth channel TVW7. 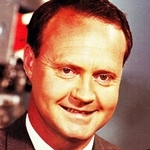 While TVW was not formally aligned to any of the three commercial networks in the eastern states, it was forming close ties to the Seven Network as Perth was soon to join the rest of the major capital cities in having a third commercial channel — requiring TVW to become a network station. It was a situation that placed both channels in a precarious situation by Adelaide being the “odd one out” among their respective networks — particularly difficult when trying to negotiate networked program arrangements. The owners of both channels then came to a solution — to literally have ADS and SAS “swap” channels and in doing so, swap network alliances to match them up to the networks in the other states. In viewing terms, not a lot was going to change. 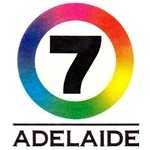 After the changeover, viewers in Adelaide would still tune to 7 to access Seven Network programs, and to 10 for Network Ten programs. 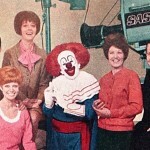 The most significant change was that local programs and presenters would be seen to have “swapped” channels. Hence the news presenters signing off from Seven on Saturday night would be seen the next night on Ten, and vice versa. 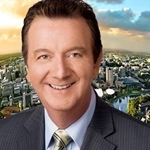 Adelaide’s long-running morning show Touch Of Elegance, which had been running on SAS10 for almost twenty years, would follow SAS across to Seven. Pop music shows Trax and Top 40 Video would also shift from Ten to Seven. The national children’s program Fat Cat And Friends, a long-time presence on Network Ten, would move to Seven nationally as SAS changed its network base but due to network commitments its move didn’t take place until the following June, forcing it to actually shift production to ADS for six months before returning to SAS. The local SAS10 Christmas Telethon would appear the following year on Seven. In the other direction, the morning show The Lionel Williams Show would follow ADS from Seven to Ten. 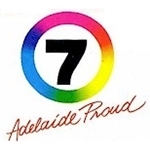 One program that was not to swap its network presence was the Adelaide-based Wheel Of Fortune — produced at the studios of ADS7. 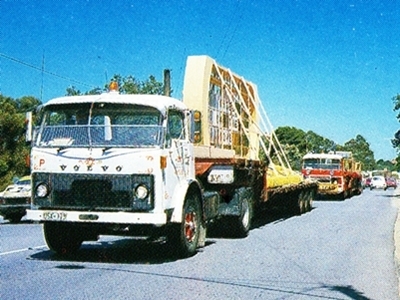 The show was to remain with the Seven Network so production of the show had to shift from ADS’ studios in North Adelaide to SAS in Gilberton — forcing a logistical task to transport the show’s set which measured almost four metres high. The changeover between the two channels took place during the quiet post-Christmas period and after both ADS7 and SAS10 signed off at around the same time on the night of 26 December. Once both stations were off the air, engineers from both stations essentially swapped the connections at the transmitter — a task made simple as both ADS and SAS broadcast from the same tower on Mount Lofty. ADS was therefore unplugged from the 7 transmitter and plugged into the 10 transmitter on site, and SAS swapped to the 7 transmitter. The whole process took all of about 14 minutes — well before both stations were to commence regular transmission on their new channels at dawn on Sunday morning. The switchover, while not causing too much distress for viewers, was to be a huge undertaking behind the scenes as both ADS and SAS had to swap their entire program inventories from one network to another and station branding and promotions all had to be re-done to match their new network logos and arrangements. 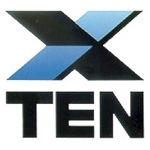 In the case of ADS the change was also complicated by Network Ten being in the process of adopting a new logo (pictured right) in the eastern states early in the new year — meaning that ADS would have to do two logo changes in the space of less than a month. Source: TV Radio Extra, 23 January 1988, 21 May 1988.
why are Chrispher and Pixie Skase not mentioned ?